Blank is the beginning and the end. Surrender and total trust are the only aids when phoenix is burning and rising from the ashes. The circle of life is valid for humans as it is for all of nature. Accept your fate, the work of self-change is progressing in your life. The empty rune is a challenge for your faith. Posted on June 13, 2011 by ladyoftheabyssPosted in Daily PostsTagged Æsir, Barneys New York, Frigg, God, Health, Norse mythology, Odd and the Frost Giants, Odin. If you have a bathroom attached to your bedroom, keep the door between them closed so your sexual energy won’t be drained. This is a perfect time to start questioning what he might want from you. Do you have what he will surrender for? Changes affecting family and friends are possible today. A move or other change of home or work environment are also on the horizon. You’ll experience an increased workload and responsibility. Don’t put off till tomorrow what you can do today..
Posted on June 13, 2011 by ladyoftheabyssPosted in Daily PostsTagged French Revolution, General officer, Major Arcana, Middle Ages, Nature (journal), Renaissance, Tarot, The High Priestess. The Moon is in transformational Scorpio most of the day, reflecting our need to change even as we attempt to delve deeper into our current feelings. 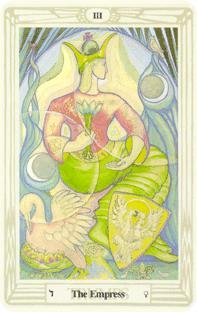 We’re reminded of old emotional wounds as loving Venus dynamically squares healing Chiron. Although we understand the importance of forgiveness, it’s not easy to let go of the past. However, the Moon moves into uplifting Sagittarius at 10:38 pm EDT, encouraging us to dream of the possibilities ahead. It may be difficult to make your point today because you might be so serious that you scare someone away before you explain what’s on your mind. Once you realize what’s happening, you’re tempted to overcompensate and become so accommodating that you back away from even broaching the topic. Although you could feel pushed and pulled by the changing tides, it’s still possible to be effective. Take your time and think about what you’re going to say before you open your mouth. It has become more complicated to say something that may have been easier to share last week. Somehow, the current situation has changed so much that you could be feeling insecure about expressing your feelings. Although you might muster up the courage to finish a recent conversation, you’re quickly tempted to abandon your plans. There’s no need to overreact; take the additional time required to resolve a delicate relationship issue. You might be looking forward to enjoying the company of a friend, but first there is that annoying problem of your job. You’re ready for a good time, yet it would be wise to treat your obligations seriously first. Once your work is done, you can create a bit of adventure in your personal life. Naturally, you could go off and do something by yourself, but the Moon’s shift into your 7th House of Companions indicates that you’d have much more fun being with others. A lazy morning sounds ideal to you today even if your job or school is beckoning. Unfortunately, circumstances probably won’t let you have the downtime you seek until late this evening or tomorrow. There are too many tasks on your agenda, preventing you from settling in at home. Thankfully, if you psych yourself up to meet your deadlines, you are able to have fun, even while doing your work. You may have family responsibilities that you cannot avoid today, but you could get a second wind later in the day and end up doing something special that you enjoy. If it’s been a struggle lately to express your feelings about a complicated domestic matter, you might finally find a way that works now. Your new positive attitude can lighten and brighten your evening. Don’t waste energy worrying about your upcoming deadlines; instead, use your optimism to motivate you to do your best. Although you may try to focus on the tasks you must finish today, you’ll probably grow more distracted as the day unfolds. However, your ability to cleverly hide your scattered energy behind a smokescreen of productivity prevents others from seeing that you’ve temporarily lost your way. You know how much more you could accomplish if you concentrate now, so avoid disappointment by restating your intent and pulling yourself back onto the path. Everything seems to take longer today because it’s difficult for you to shift into high gear. Even if you believe that many exciting experiences are waiting around the corner, you aren’t ready for them just yet. Fortunately, the energy picks up later in the day when the possibility of fun becomes a motivational factor. But don’t hesitate until it’s too late; plan for pleasure while there’s still enough time to make it happen. You like the idea of slowing down the pace of your life, but turning your intentions into reality may require at least one more day. Still, it’s healthy to realize that whatever you are doing today may not be as urgent as it seems. Even if there’s a lot to accomplish, don’t wear yourself out. Schedule time to rest and relax over the next couple of days because you will need your energy later in the week. You’re eager for tomorrow to arrive because the Moon’s current visit to your 12th House of Secrets makes it difficult for you to feel comfortable sharing your ideas. It may seem as if someone in particular is thwarting your progress, but the outer resistance is more likely a projection of your own uncertainty. Thankfully, your instincts are correct; this temporary condition will pass after your emotions play through their natural process. You have enough common sense to recognize that one of your pet ideas may have finally run its course. One phase is coming to an end, yet it isn’t time to move on. Nevertheless, it can be helpful to visualize what your world might be like once your old assumptions fade. Remember, the power of your imagination is growing stronger now and could enable you to turn your dreams into something really special. A recent failure may still be preventing you from seeing the positive potential of unstable dynamics now at play in your life. Being afraid of what’s around the next corner could have a negative impact. Fortunately, you are at a turning point and can gain a lot by facing your insecurities. Overcoming anxiety based on your past enables you to create your future. Transforming fear into hope is a sensible strategy whenever possible. You may need to handle more responsibility this week than you want. You would prefer to wander aimlessly and explore which dreams to follow now. Nevertheless, others are looking to you for inspiration and you don’t want to let them down. Instead of worrying about what could possibly go wrong, concentrate on doing the greatest good. Don’t be overly concerned with the details; just keep your mind set on your destination. Posted on June 13, 2011 by ladyoftheabyssPosted in Daily PostsTagged Chiron, Eastern Time Zone, EDT, Mercury, Moon, Venus, Waste-to-energy, Wine tasting descriptors. Time for an excursion! Remember to pack some sandwiches, and carry a large ball of twine (it’s easy to get lost in the city — the twine should help). You have exactly as much chance of having a decent day as you have of developing amazing telekinetic abilities that let you secretly give innocent passers-by a wedgie. Stay home. Breathe normally. Today you will find that you can make an incredibly silly sound, and will spend the entire day making it, and then laughing. Good day to bring home an insectivore as a pet. Today you will read a small booklet titled How To Make A Fortune in Frog Farming, which will change your life. Excellent day to make odd hand gestures at people you don’t know. It will occur to you to wonder, what if Jesus had actually said “The geek shall inherit the earth”, but was just misquoted? Then you’ll think of Bill Gates. Then you’ll start to worry. Good time to consider capitalizing on the wave of 70’s nostalgia that is sweeping the land. Why not try making shag carpeting? At least you should sit around in your beanbag chairs and discuss it. It’s time to get a new perspective on your job. Try to think of work as a great big funhouse. Just without the fun. Posted on June 13, 2011 by ladyoftheabyssPosted in Daily PostsTagged AQUARIUS, Aries, Bill Gates, Capricorn, LIBRA, Scorpio, Taurus, Virgo. Mojos are small bags containing an odd number of symbols (one to thirteen) associated with particular energies. Protective mojos are good if you live in a high-crime or lonely area, or you have a difficult ex-partner who seeks constant access to your home. A small drawstring bag of red flannel (the traditional mojo fabric) or brown material ( suitable for domestic protection); a piece of angelica root or some dried angelica (available from herbal stores); some salt and pepper; waxed paper (the kind used in cake making); some patchouli oil or brandy. Place the angelica root directly into the bag or twist some dried angelica in a piece of waxed paper and put it in. Twist some salt in a piece of waxed paper and add it to the bag. Twist some pepper in a piece of waxed paper and add it to the bag. Add a few drops of the patchouli oil or brandy to the bag. 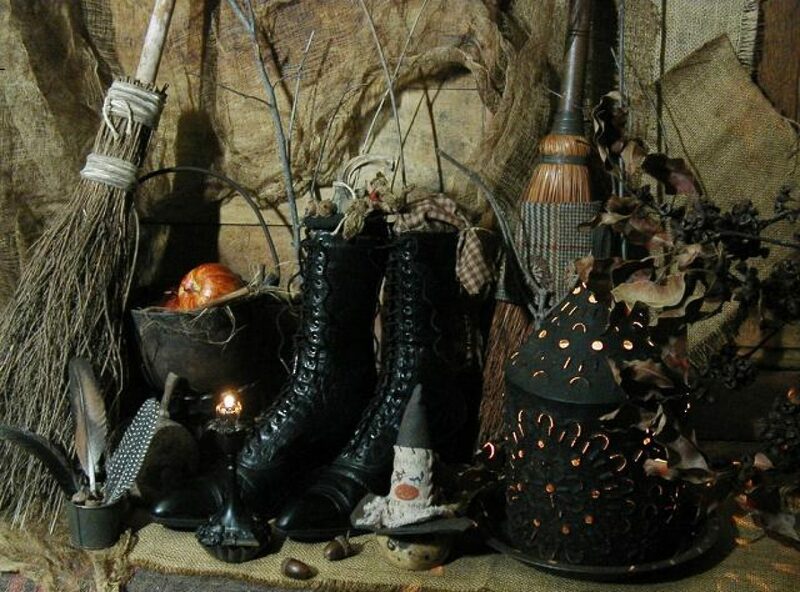 Posted on June 13, 2011 by ladyoftheabyssPosted in Daily Posts, Protection SpellsTagged Business, Collecting, Crafts, Hoodoo, mojo, Recreation, Shopping, Wax paper.